Growth in business is a wonderful thing, but it can be dangerous without a focus on profitability. Our guest Kaneisha Grayson shares her story and the choices she made in order to achieve profitability during rapid growth. Welcome to episode 184 of the Grow My Accounting Practice. 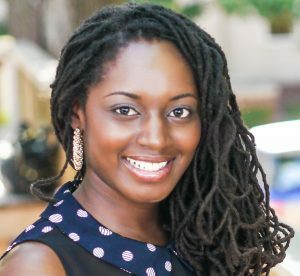 Kaneisha Grayson is an author, Harvard MBA, Harvard MPA, and entrepreneur. She founded her admissions consulting firm The Art of Applying from her Harvard apartment. Her business has helped over 1000 clients gain admission to their dream schools with $12.3 million in merit scholarships. She lives in her native city of Austin, Texas. Abby Connect – So many valuable opportunities are lost when potential clients reach out and get voicemail or an automated system. Abby Connect provides you with world-class Las Vegas-based receptionists trained to take your calls at a fraction of the cost of in-house staff. Hear the difference Abby Connect can make; get a no-obligation free trial and $95 off your first bill at abbyconnect.com/GMAP or call 833 – ABBYWOW and mention GMAP.